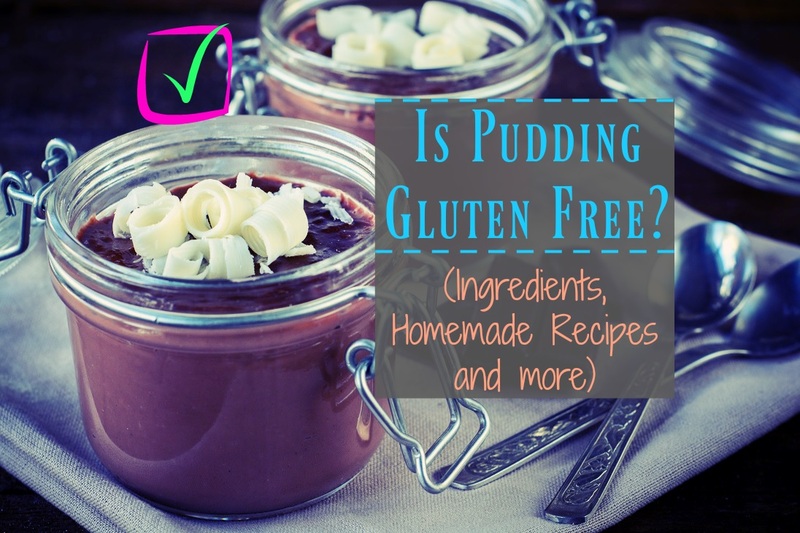 While none of the traditional ingredients in pudding include gluten-containing grains - wheat, barley, oats, and rye - some of the additives, colorings, and thickeners in pre-packaged mixes or store-bought puddings can be secretly harboring gluten. If you are avoiding gluten for medical reasons, it is best to check the information below and be cautious about your pudding consumption. Fortunately, there are some brands on the market committed to strictly labeling all allergens in their products. If that isn't enough, homemade pudding is simple to make and contains relatively few ingredients. The answer is tricky: NO, for the most part. Those individuals with the most sensitivities should be cautious about consuming pudding, especially the packaged version that comes in cups or powders. As anyone with gluten sensitivity or celiac disease understands, even the smallest amounts of gluten are enough to trigger a reaction or cause permanent gut damage. There are a few different types of puddings: savory puddings, like cheese pudding, black pudding, or kidney pudding, are common in parts of Europe. In the UK, pudding is typically synonymous with a dessert course and includes everything from Treacle sponge pudding, a steamed cake-like mixture, to Christmas puddings with added nuts and fruits. In the United States and Canada, it is the thick, custard-like sweet pudding made from eggs, dairy, and sugar that is the most popular. Other dessert puddings like rice pudding or chia pudding are easily made gluten-free friendly and typically contain fewer additives that might be hiding gluten. Pudding's basic ingredients are completely gluten-free: most are made with a base of sugar, milk, and cornstarch. Some puddings are thickened with eggs yolks, which creates more of a British-style custard. All of these ingredients should be completely free of gluten (though not free of lactose, for those with celiac disease who also need to avoid dairy). While cornstarch is the most common thickening agent in American-style puddings, there are a few other thickeners used to make the puddings that come pre-prepared. This is where some of the confusion arises over whether or not pudding is gluten free. Thickeners like eggs, cornstarch, or tapioca starch are gluten free. However, most packaged puddings contain variations of these starches along with preservatives and colorings, as other bloggers have found. These colorings, flavorings, and additives sometimes contain gluten. These ingredients are often outsourced from another company or supplier, and the exact ingredients may be unknown. This 20 ppm standard is widely accepted as a scientifically identifiable threshold shown to be nonreactive for people with celiac disease, according to Dr. Peter Green from the Celiac Disease Center at Columbia University. Companies have their own allergen labeling policies to help consumers select products according to their dietary needs. However, there are some common ingredients on the market that remain controversial. Ingredients: "sugar, modified cornstarch, cocoa processed with alkali, disodium phosphate (for thickening), contains less than 2% of natural and artificial flavor, tetrasodium pyrophosphate (for thickening), salt, artificial color, mono- and diglycerides (prevent foaming), red 40, yellow 5, blue 1, BHA (preserves freshness)." Sugar, cocoa, and salt are all well-known ingredients. The same is true for all of the artificial colors listed. Another issue with unidentified ingredients is the risk of cross-contamination. Contamination can occur when gluten-free and gluten-containing foods are processed on the same assembly line or equipment. The Celiac Disease Foundation blog warns against products that are not specifically labeled "gluten-free" because they could still be manufactured on shared equipment with other gluten-containing products. However, this is only an issue for store-bought puddings and pudding mixes. Many bloggers recommend paying more attention to the brand rather than the type of pudding, and pick a brand with good labeling policies. It is also important to understand your own level of sensitivity to gluten; many celiacs report reactions to even government regulated standards of "gluten-free." If you fall into this category, then it is best to find a pudding mix that is labeled "gluten-free" so you know that the company in question is legally responsible for testing the level of gluten in their products. Instant pudding simply requires that you dump the contents of the boxed pudding into a bowl and mix with cold milk. 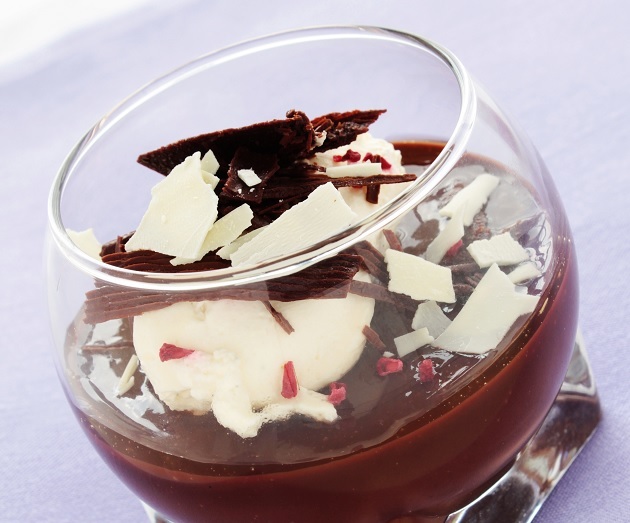 Your pudding will take a few hours to set but otherwise requires minimal effort. Homemade pudding will take a bit more conscious effort in the kitchen, especially during the heating process. ​Add all of the dry ingredients to a saucepan over the stove and whisk to combine. continue to whisk for an additional minute until the mixture is very thick. Pour into individual serving ramekins, if desired, and press a layer of plastic wrap directly on the surface to avoid the formation of a "skin." Allow to chill for at least one hour. If you'd like to avoid the risk of buying a packaged pudding mix, you can make pudding from scratch at home in a few fairly simple steps. Try this easy recipe from Gluten Free Palate or this recipe from Gluten Free on A Shoestring for an instant vanilla or chocolate pudding mix to store in the pantry for a last-minute dessert. These recipes are similar to what you might find at the store, but without the added colorings and preservatives. For something a little more extravagant, try The Spruce's Southern-Style Gluten-Free Banana Meringue Pudding. If you need to avoid dairy and eggs, try this rich, chocolate pudding recipe from Mel's Kitchen Cafe. Finally, skip the processed sugar and add some healthy fats by trying this chia seed pudding from Create Mindfully. See some suggestions for store-bought pudding below. Here are some options for buying packaged gluten-free pudding cups and mixes. Contains unidentified "starch" and "dextrin"
The basic ingredients in pudding are gluten free and there are a variety of products available online and in-stores that are labeled gluten free. However, some store-bought products may not be safe for celiacs who react to cross-contamination or are trying to avoid unidentified ingredients like "natural flavor." It is always best to be familiar with government regulations for "gluten free" and understand what to look for on an ingredient label.